Brandon Valley High School is hosting a community blood drive on Wednesday, April 24 and Thursday, April from 8:00 am to 11:00 am and 12:30 pm to 3:30 pm (both days). All blood donations will stay local for local use. All who donate will receive a thank you t-shirt. The public is encouraged to come in, donate blood. 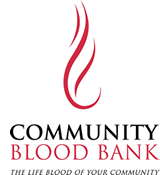 Community Blood Bank supplies over 550 units of blood each week to people in the local area. Among those who benefit from donated blood are trauma and burn victims, cancer patients and persons undergoing surgery. Donating blood is a simple way to save patients’ lives in the community. Without volunteer blood donors donating blood throughout the summer, it becomes increasingly difficult to maintain an adequate supply of blood for community hospitals.